As the volume of road haulage traffic on motorways continues to increase, there is a growing lack of parking spaces for breaks and rest periods. In addition to the expansion of the current facilities there is a need for short-term solutions that allow existing service areas to be utilised to the full without compromising road safety. By organising parking according to departure times it is possible to accommodate more vehicles in a relatively small space, and the areas used previously as driving lanes can now also be employed for parking. The Federal Highway Research Institute (BASt) has developed the new telematic Compact Parking method to achieve this. The Compact Driving method allows trucks to park right behind one another when their drivers plan to leave the service area at the same time or later than the truck immediately in front of them. 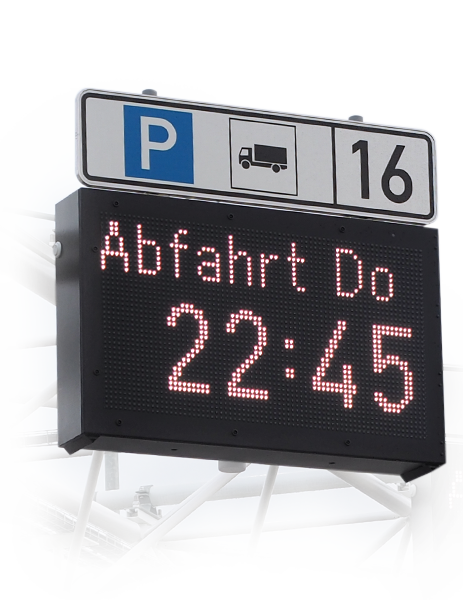 Dynamic displays show departure times in free parking lanes for both short-term and long-term stays. As the parking area starts to get full, the range of times offered focuses on the most popular departure times. When drivers arrive they decide for themselves where to park – depending on when they plan to leave and the length of their vehicle. 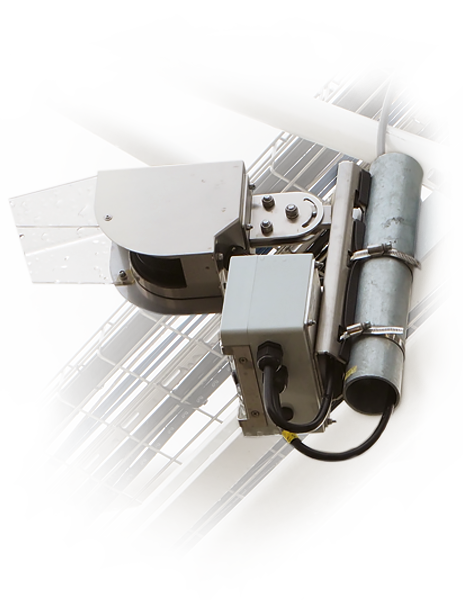 Sensors detect when a parking lane is fully occupied. 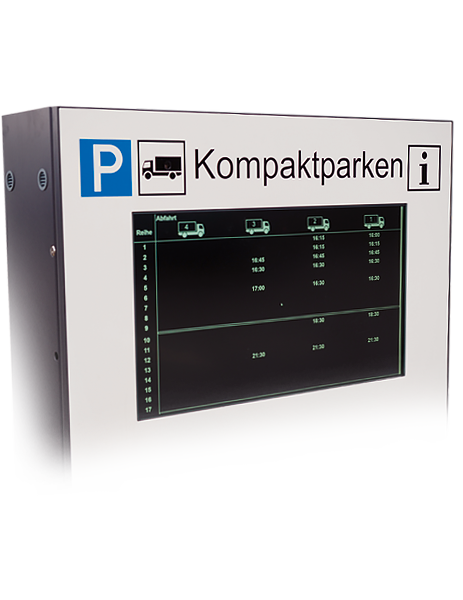 The control algorithm is a key factor contributing to the success of the whole Compact Truck Parking System. Compact parking in four steps – this is how it works.